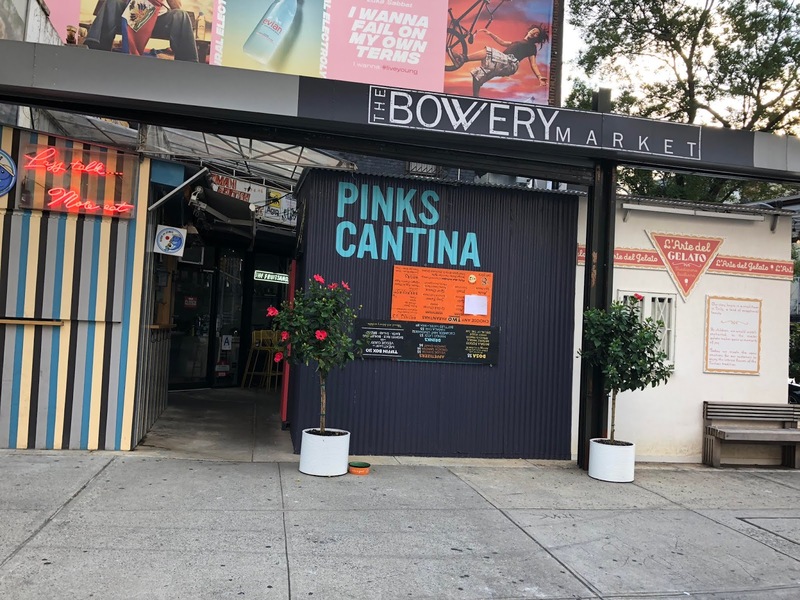 Pinks Cantina will be the latest vendor to join the Bowery Market, the year-round open-air food court at 348 Bowery and Great Jones. The taco shop is an extension of Pinks Bar & Grill, which opened in the fall of 2014 on 10th Street near First Avenue. The Cantina is taking over the space last held by Dosa Royale, which lasted less than a year here. The Market launched in July 2016 with five vendors. Alidoro, the only original tenant, recently vacated its space (as did Oaxaca Comida Calle). The remaining vendors are Sushi on Jones, Fruitsand and L’Arte del Gelato. Pinks Cantina had been planning on opening a taco shop on Chrystie Street last fall. Not sure what the status is of that location at the moment.